The track "Aquarius" samples "Aquarius" from the movie "Hair" (1979). Mine have MPO logo on runout and no stickers in it. Maybe another repress ? Generally a decent pressing as the music itself sounds fantastic but there is a fair bit of surface noise on all sides besides side one which oddly sounds clean as a whistle. 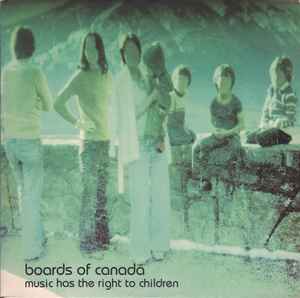 Well worth owning on vinyl as its one of the best Electronic albums ever. My pressing sounds absolutely fantastic, could be that I smoked, but irrespective, if the question is, 'does this LP get old? ','the answer is, 'no, no it doesn't,'...unfortunately, I do. Can anyone tell me if this version has Happy Cycling on it? this pressing is actually fantastic for me, doesn't have much surface noise and all the synths, drums, bass, everything shines through perfectly! A promo of this came into a record store I was working at in 98, the boss who bought the collection paid about $2 per record, I paid $5. Ahhh the pre internet days.